Last post I showed you my earrings in progress. Here are some of the finished products. Still working on new designs. What do you think so far? So you have a favorite? 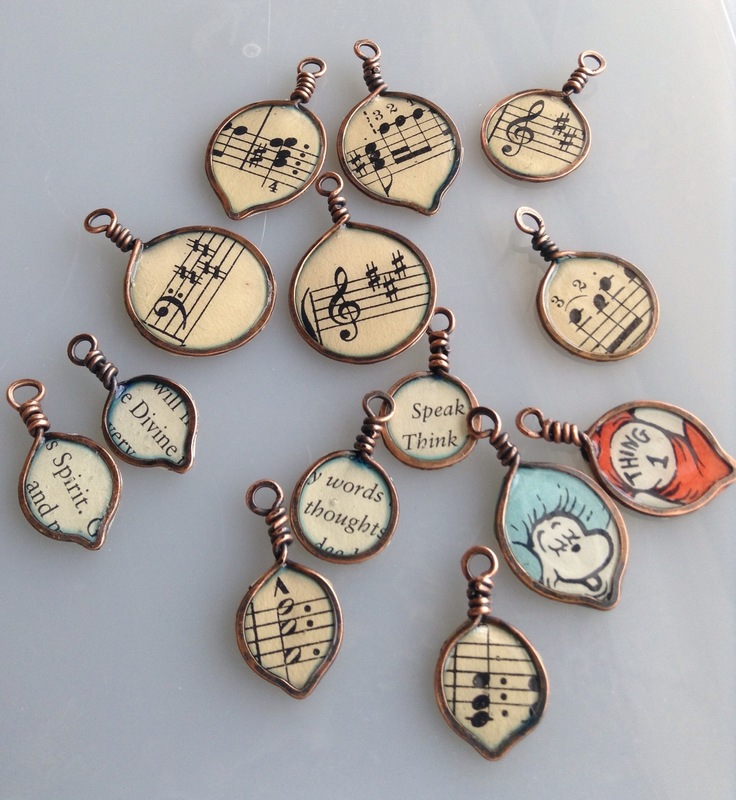 The sheet music in some of the earrings was sent to me by my mother. It makes beautiful earrings doesn’t it? 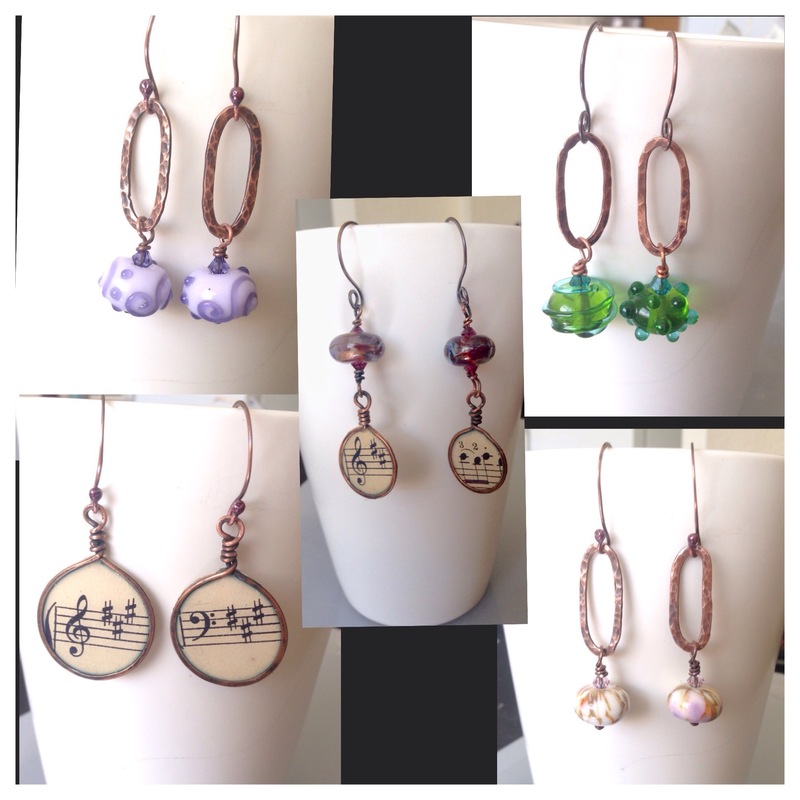 I have been trying to see if I can do mass producing, well producing more than just one pair of earrings at a time (or any piece of jewelry) and come up with new designs. Last weekend I gave myself that challenge. I feel that it was very successful. Here are my works in progress. Am I Ever Going To Find My Style? 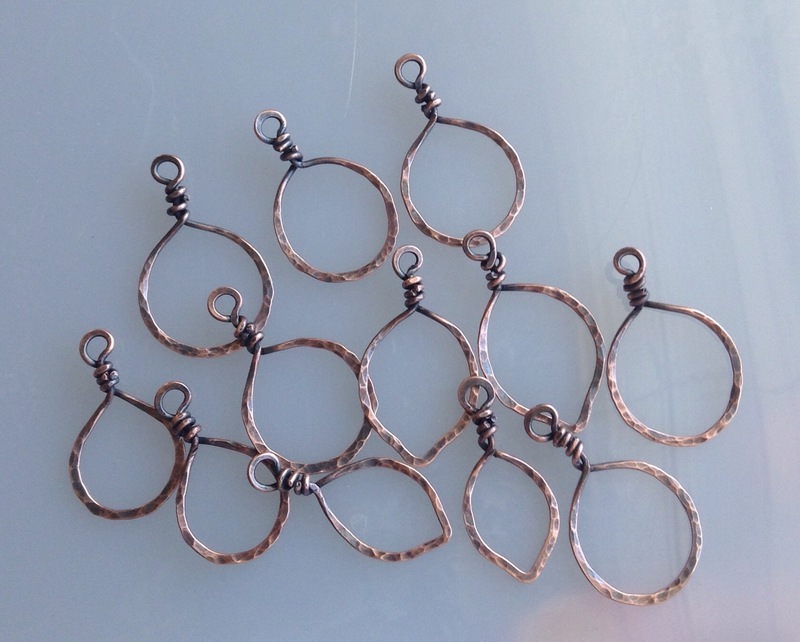 I have spent several months trying to learn a few skills and work towards making and designing my own jewelry. I want to be able to incorporate my beads into my jewelry as well. There have been a few successes, and more than I’d like to mention failures. All the while I’m experimenting I think to myself, is this my design or does it look like a copy of someone else? Did I put my own flare into it? Will somebody else like this AND be willing to put their hard earned money to buy this? My last thought in all of this is, can I make more than the two or three I just made? The last one is important, I struggle with making more than one or two of anything. Beads, make one set move on to the next color. Food, trying a new recipe, really like it, never fix it again. Jewelry, make a pair of earrings, love them, keep them, move on to next design. Today, I feel like I am actually getting somewhere. 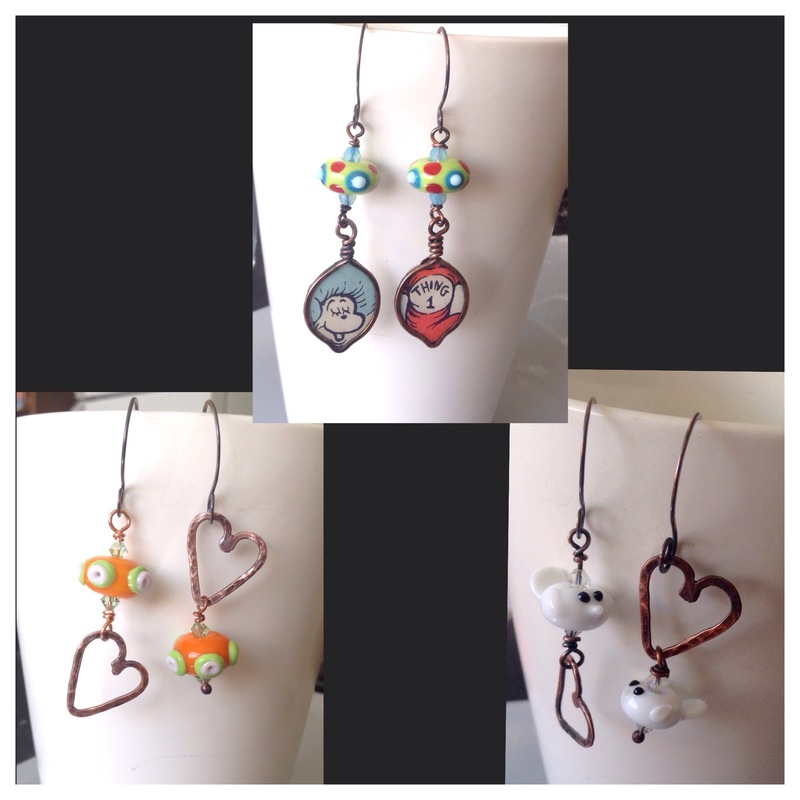 I made 4 sets of earrings, two pendants, they are semi-original, and I think I can keep making both of these things. These I’m keeping all for myself, earrings and a pendant. I purchased a tutorial on Etsy to make paddle pin earrings. Link to the tutorial is here. I liked the concept of the earrings, books/words and my beads. Tell me how you like them. I’m looking forward to making many more.